You know the problem: Choose any set of 10 reports from your company and you’ll find 10 different ways of presenting the information. Some reports put the message first, some put it at the end, and others don’t have any message at all. Some reports fail to specify the content, while others are overloaded with descriptions. Many contain no glossary with accepted definitions and abbreviations of key performance indicators. To make a long story short, there’s usually no standard policy for the conceptual and visual design of reports—often not even within the same company, let alone a globally accepted intercompany standard. 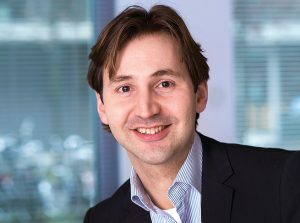 Maurice Verhagen, head of Reporting Services, is in charge of the concept and rollout of reporting standards at Philips. 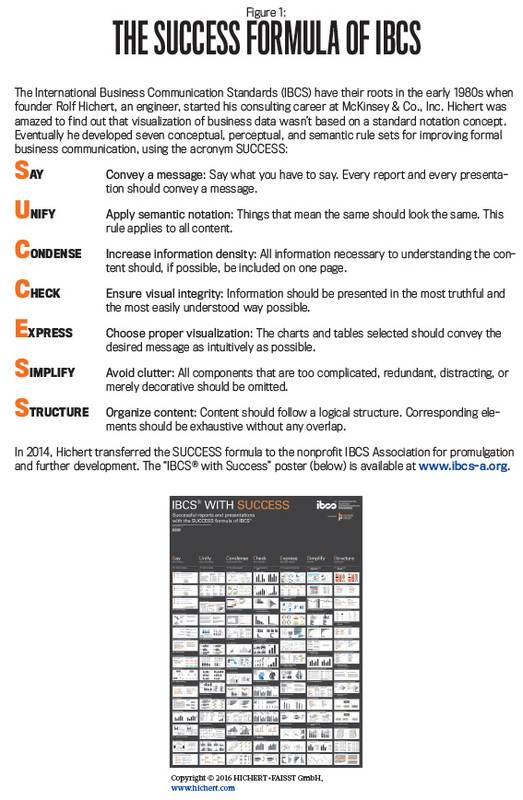 Verhagen talked recently with Jürgen Faisst, managing director of the International Business Communication Standards Association (IBCS®; www.ibcs-a.org), about reporting at Philips, implementation of the IBCS, the benefits achieved, and his recommendations for readers of Strategic Finance. Jürgen Faisst: When and why did you start evaluating new concepts for the design of business reports and presentations? Maurice Verhagen: In 2011, we started a multiyear business transformation initiative called Accelerate! to implement our new operating model where we aimed to gain many efficiencies by standardization. We noticed that everybody in the company had their own version of the truth, by means of their own charts and tables, in their “homegrown” Excel files. Faisst: How did you find out about IBCS? Verhagen: I was working closely with Eric Lenhard, a principal consultant from the Boston Consulting Group’s Munich office, who was familiar with the concept from his experiences with other German clients. 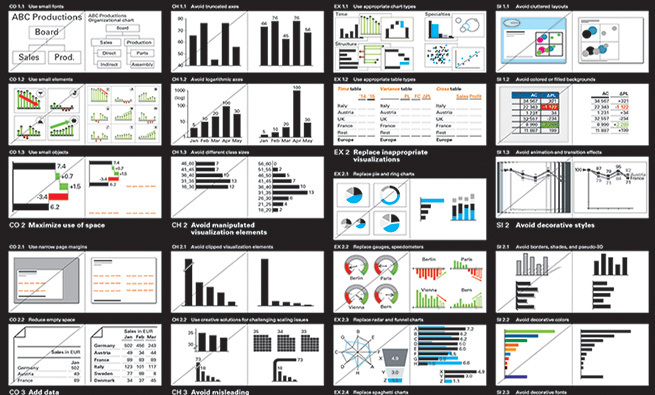 It was very inspiring to see how Rolf Hichert, the initiator of IBCS, had taken great visualization concepts from Edward Tufte and Stephen Few and translated those into “hands on” guidelines that could be immediately applied to any business report. Really, the practicality made the ­difference. Faisst: What led you to go ahead with IBCS? In other words, what characteristics of the standards appealed to you? Faisst: How did you then deepen your knowledge of the SUCCESS formula? Verhagen: We connected with various other companies where IBCS had already been implemented to learn from their experiences and understand the challenges in implementing the standards. We got valuable input from T-Mobile, the German Bundesagentur (the federal employment agency), and the internal finance department at SAP. It was great to tap into such a network of professionals. Faisst: Philips is a multinational conglomerate with more than 100,000 employees. I would imagine that implementing reporting standards in such an organization is a fairly complex task. Verhagen: Yes and no. On the one hand, it was great to see the initial traction it got after Rolf Hichert gave the first in-company lecture. The early adopters then jumped on the bandwagon and proof points popped up in many places. Of course there was also some resistance to the concept as it impacted many reports already out there. We addressed any resistance by talking with stakeholders to increase overall awareness. 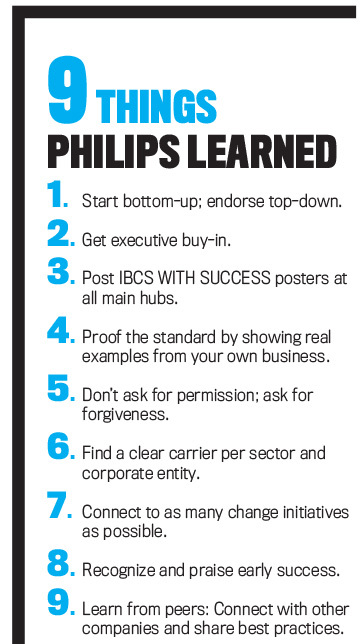 We also obtained additional buy-in by taking feedback seriously and publishing updates of the Philips Reporting Standard, which is how we refer to IBCS internally. Faisst: Was there a specific milestone on your journey where you realized that IBCS implementation would succeed? Verhagen: Yes, the breakthrough came the moment we reached the Group CFO at the time and demonstrated several “before” and “after” versions of existing Finance reports. These proof points were so convincing that he immediately bought into the story and endorsed this as the official Philips Reporting Standard. From that day onward, there was little further “challenging,” and adoption progressed smoothly. Faisst: With IBCS you had a proven concept, and with your CFO you got strong management sponsorship. But what about technology? 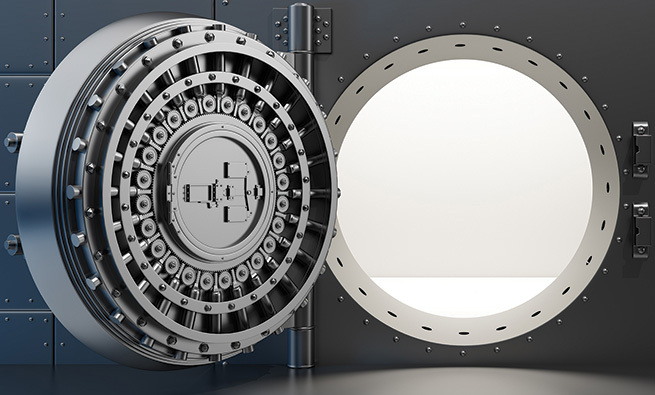 Did you have the appropriate tools to create reports that comply with IBCS? Verhagen: At first we didn’t have a lot of technology options available, so we started with publishing an Excel add-on, which gave the key features of IBCS to the full Philips member community. Based on that, we enabled the first proof points. Later on, we obtained Graphomate, an add-on to SAP BusinessObjects, and trueChart, an add-on to QlikView, to further accelerate our IBCS deployment. Faisst: Where are you on your journey today? What degree of penetration/success did you achieve so far? Verhagen: We have the highest coverage in the Finance domain but also have a substantial footprint in other domains, such as Digital Marketing, Supply Chain Management, and Product Creation/Innovation. The widespread adoption across the entire value chain shows that the concept is multipurpose and not just meant for the financial reports. This was a great and unexpected discovery on our journey. 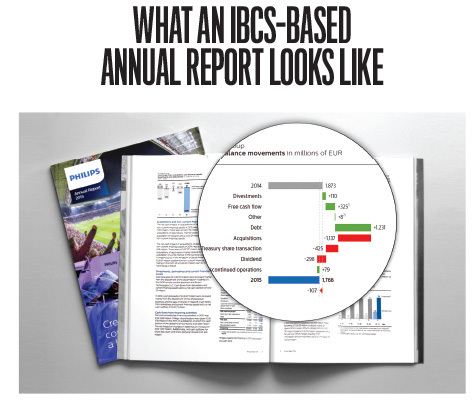 In terms of reach, the furthest we got was to have some aspects of IBCS reflected in our 2015 annual report. That’s something I never expected to happen when we embarked on this initiative. Faisst: What other benefits have been worth your investment in implementing IBCS? Verhagen: IBCS has been a great accelerator for us to take our business insights to the next level. First and foremost, the consumer of the report gets to the essence of the information much faster, which in turn helps to shorten our time to make decisions. But the real productivity gain is in the report creation. In the past, people got carried away with shaping all kinds of report layouts, and now they’re clear and predefined. Report creators can focus on providing meaningful insights and no longer lose time figuring out what the best visual would be. 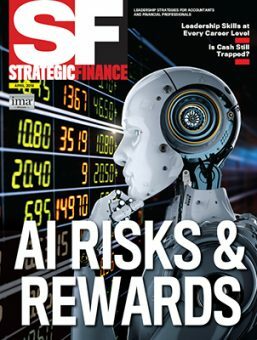 Faisst: What do you recommend to readers of Strategic Finance willing to engage with IBCS? Verhagen: I would test the use of IBCS in a small setting: Learn, experiment, and create some proof points in your business environment. This is an important first step because it allows you to get traction with an initial group of enthusiasts in the company; they establish the “movement.” Second, once the movement gets going, then communicate the tangible results to a larger community to get additional “customer pull.” Finally, obtain executive support to really get it endorsed and make it stick across the entire organization. Philips is a diversified technology company focused on improving people’s lives through meaningful innovation in the areas of Healthcare, Consumer Lifestyle, and Lighting. The company is a leader in cardiac care, acute care, and home healthcare; energy-efficient lighting solutions and new lighting applications; and shaving, grooming, and oral healthcare products. Philips separated the lighting business in early 2016 and went for an initial public offering at the end of May. The multiyear transformation program Accelerate! was launched in the second half of 2011 and is being implemented across the organization to drive value creation and speed up growth. Key initiatives have been launched to implement the Philips Business System and step up resourcing for growth, granular strategy execution, value delivery to customers, and to adapt the culture and reward system. Jürgen Faisst, Ph.D., is managing partner of HICHERT+FAISST (www.hichert.com) and managing director of the IBCS Association (www.ibcs-a.org). You can reach him at juergen.faisst@hichert.com. 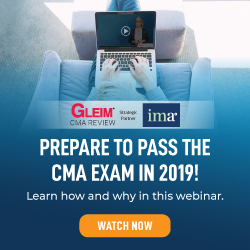 Nina Michels-Kim, CMA, is director of European Operations at IMA and a member of IMA’s Switzerland Chapter. She can be reached at nmichelskim@imanet.org. simplifying reports that could be understood is great.